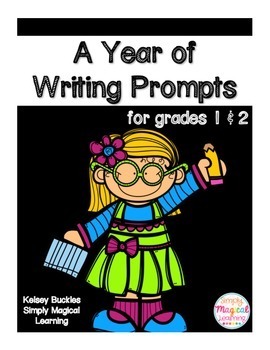 This pack of 280 writing prompts will keep your students occupied the whole year through. 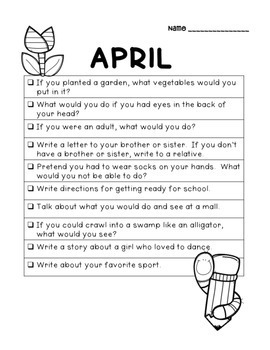 This contains 20 writing prompts for each month of the year, along with 40 extra writing prompts to use whenever you need. 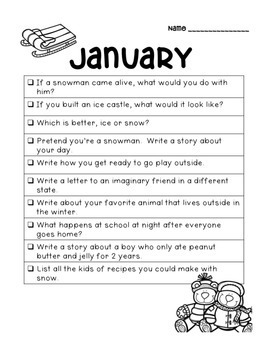 Students love being able to choose what they write about, so these prompts allow them to have a structured choice. Set your student expectations and let them write away! This can be used for centers, morning work, homework, early finishers, or anywhere else you want to use it in your classroom! *NOTE* These prompts reference holidays including Valentine's Day, President's Day, St. Patrick's Day, Fourth of July, Thanksgiving, and Christmas, as well as some American customs. 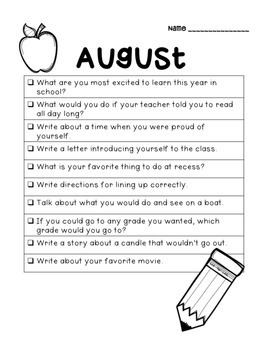 If you don't teach in the United States, some of these prompts will not be applicable to your students.